I have been going to retirement villages out on the Olympic Peninsula and within a day’s drive of Tacoma to read from Strong Heart and Adrift, or once to discuss the research I did before writing the tales. Without fail, I get more out of these events than the audience, because after the reading and questions and book sales and signings I get to hear their stories, and some of those stories are astounding. I am surprised, though I should not be, at how many in the audience have Native American ancestors, how many are fourth or fifth generation descendants of the first pioneers, how many are writers themselves, and especially how many have ornery and complex daughters, cousins, nieces, or grandchildren so like Sarah Cooley, the main protagonist in my tales. I don’t know where Sarah came from, she just appeared when I started the book, but she seems real to me. Is real. Apparently so with audience members, too. Many of my listeners cannot hear very well, so I talk loudly or use a microphone, and many others ask about an audio version, as they cannot see that well for reading. I am in the process of producing an audio version of Strong Heart with a company which will produce both MP3 files for phones and pads and CDs as well. If this works I hope to to the same with Adrift, using the same great narrator, Laurel Anne White, and when my third book appears, probably next September, tentatively titled Found, that one, too. It’s fun to go to these places, knowing these tales will be in the hands of children and grandchildren (after being read first, of course) in time for the holiday season. I also have prepared this talk, about 20 minutes long, describing all the research that went into Strong Heart – human origins, human migrations, glacial epochs, DNA evidence, fossil evidence, sea level changes, climate shifts, where the ice was and where not, glacial refuges, how people may have traveled ages ago, when they may have first reached the Americas, and whether the ancient legends among First Peoples that they have always been here might be true. The discussion after such a talk with these groups of elders, some of great age, experience, and knowledge, is fascinating. I just finished a 5-day road trip visiting 30 bookstores in Washington and Oregon, a fantastic learning experience. Writers may be crazy, telling stories, but independent bookstore owners and workers are heroes, because it is THEY who display tales, and, in the perfect world, might even recommend yours! My trusty chariot, now at 150,000 miles and 17 years, took me 1400 miles, through Olympia, Chehalis, Ilwaco, Astoria, Seaside, Cannon Beach, Manzanita, Lincoln City, Newport, Corvallis, Junction City, Eugene, Sun River, Bend, Sisters, Redmond, the Dalles, Hood River, Yakima, Ellensburg, Wenatchee, Chelan, Leavenworth, Enumclaw, Sumner, Mercer Island and back to Seattle. The bookstore folks were fantastic, just great, at every single place, making my seemingly hopeless task a lot less hopeless (hopefully). I drove through rain, wind, snow, sun, and hail, came upon a truck fire, and got lost twice. My favorite section was the drive north from Bend to the Dalles, the high eastern Oregon desert, a land of high sky, endless perspective, empty roads, and, when you stop and get out to stretch, standing by the side of the road, all you hear is the wind, birds, and then, after long minutes, the distant whine of a solitary approaching truck, still far from sight. Mount Hood to the left, Rainier to the right…..
Nightmare, great experience, or both? OK. Book has been published. These days I am not sure what that means. There are somewhere in the range of 100,000 brand new novels produced each year in the U.S. alone. That’s 333 a DAY. For those few lucky enough to have a well funded publisher, or endless deep pockets, or previous best sellers, their new books are almost automatically picked up by bookstores everywhere. But for the rest of us, and boy am I in that group, the struggle is, I am learning, being noticed. How do you get noticed among the blizzard of alternatives? One thing to increase visibility is a giveaway. My publisher is doing that for Strong Heart May 30 through June 3, any Kindle download will be FREE, with hopes enough people grab it to bump its sales figures enough to appear on everyone’s searches in the hope it then starts selling at its list price of $ 4.99. Maybe this will work, start something viral. That’s the great hope – something, somewhere, takes your book viral, a function of luck and timing and grace – because we authors cannot do much one person at a time face to face. Yet….that’s what I am doing, now. Driving to bookstores, introducing myself, saying, here’s a copy, read it, or have someone on your staff read it, and if you like it order some for sale. Or take a few more on consignment. And here’s a couple fliers about the book, me, and some reviews, which are all terrific, by the way. I am going to Indie stores, one at a time. They are kind with me, at times very supportive, at other times the key person isn’t there and I need to come back, and I have already learned that while those of us who try to write are mostly crazy and in a hopeless chase, it is the bookstore owner who is the true hero, the real person of courage, because if a writer’s task seems hopeless, the bookseller’s seems twice as hard. Which book will sell? That’s a function of reputation, name recognition (I have zero of both), the cover and whether it draws people, the words on the back, and the general…feel. If the book is placed on a shelf, spine out, there is not much to see, but it’s a struggle to get the space to display the whole cover, even have something about the author or reviews. That’s my challenge – to get noticed then to get someone to decide this puppy will move. And it’s done one person and store at a time. I am encouraged, though. The local Mailbox place in Ballard, where we do our mail, a small shop which also sells cards and knick-knacks, and occasional books, saw me mailing all these books out to reviewers and offered to place my book for sale. So I did, on consignment, this is a place that is not a bookstore, the customers are there for mail, not for books, and furthermore other books they had tried had not sold at all, and so the book was placed there on the counter, just the cover and behind it a sheet with some of my reviews, and the damn thing has been selling, about one copy a week. Something must be right, but still, the challenge, is, get the book in places where people will see it. And that means, bookstores. The Pacific Northwest is pretty big. My car has 146,000 miles on it, a 17 year old Toyota I plan to drive until it has become a precious antique, and what I am doing these days is driving hither and yon and stopping at independent stores and making my pitch. I have the sense there is a stream of authors like me doing this, every day, but perhaps not. I do know from one store that they get 20 to 30 asks a week for readings and displays. I think most of those are via email. This odyssey, the bookstore tour, started a couple weeks ago and continues. Maybe you’ll see me rattling down a northwest road somewhere, this now-retired guy, spending his time as a peddler, flogging his tale. Lotta driving, and to some surely a nightmare, but bookstore owners and workers are great people, fun to talk to, and their stores tend to be in pretty interesting communities. In between these road trips there are some local readings, and a library convention in Idaho in August for Pacific Northwest libraries I plan to attend, and then there the Pacific Northwest Bookseller’s Association event this fall. 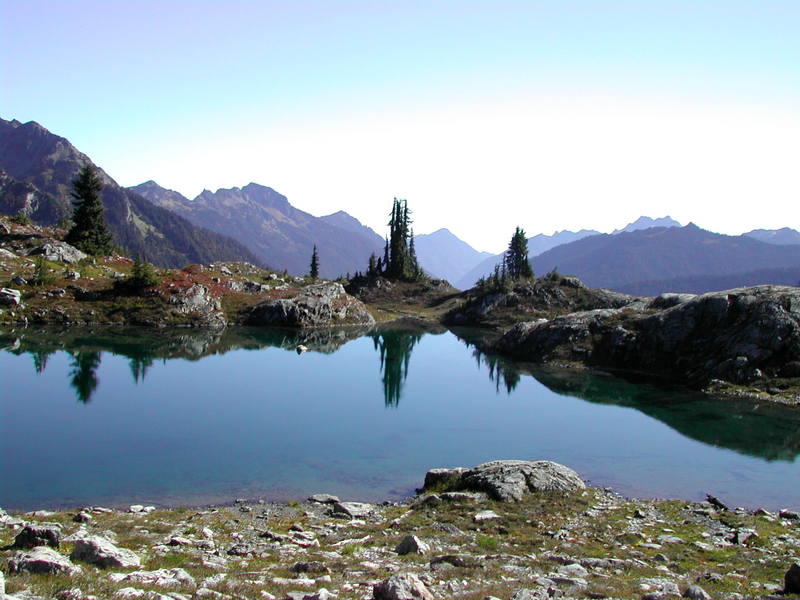 Plus, there are a few planned hikes, including one to take in the total eclipse of the sun August 21 deep in the Olympics, so maybe all this isn’t such a nightmare after all…. Everything relies on my humble chariot here….